... making law firms more productive and profitable. 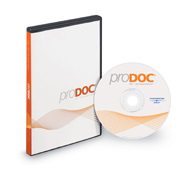 “ProDoc's document assembly program is simply unbeatable. Other legal software that I have used is archaic compared with ProDoc. One reason ProDoc has been so successful is its user-friendly philosophy. We automate the generation of legal documents for entire areas of law. This enables attorneys like you to eliminate the tedium of updating, generating, and editing your documents.